Not too long ago, LG unveiled the highly rumored LG G3 at a press event. The handset is already available for sale in South Korea, and is expected to launch on over 170 carriers across the globe in the coming months — possibly July. 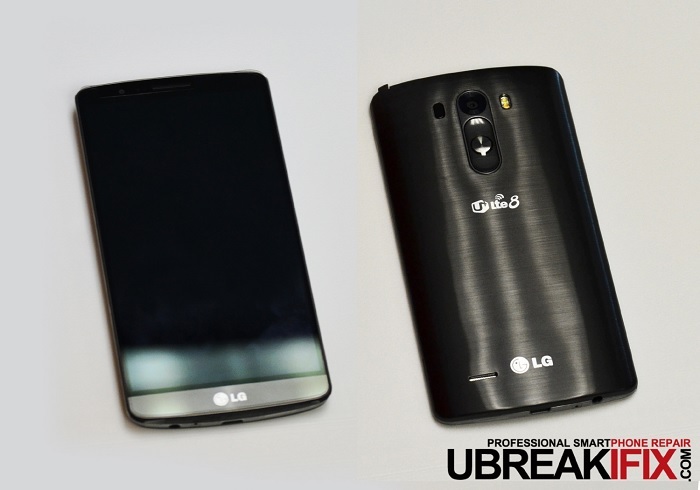 Recently, the folks at UBreakIFix managed to teardown the latest LG G3, and gave it a repairability score of 8 out of 10, making the handset fairly easy to repair in case something goes wrong. The teardown revealed all the major components found inside the LG G3, including the camera, WiFi chip, storage, and others. Although the teardown was not as detailed as iFixit, it still gives a pretty good idea that it’s not too difficult to repair the LG G3. “Overall, initial impressions are that this is a beautifully engineered phone. The use of several contact-style connectors instead of flexes will certainly reduce repair time and the location of the LCD/digitizer connectors give the G3 a much higher repairability factor than its predecessor; on a scale of 1 to 10, the LG G3 scores a respectable 8/10,” says UBreakIFix. LG G3 rocks a 5.5-inch display sporting a resolution of 2560 x 1440 pixels, and is powered by a quad-core Snapdragon 801 chipset clocked at 2.5GHz. The handset also features 2/3GB of RAM, with 16/32GB internal storage which can be expanded via a MicroSD card slot of up to 128GB. On the rear, there’s a 13Mp camera with optical image stabilization plus and a laser auto focus for sharper images, as well as a 2.1MP front-facing camera. On the software side, it runs Android 4.4.2 KitKat with a simplified UI, which is much better compared to its predecessor.